Faster, better performance, taking you above and beyond! We all know what is ADSL? In a nutshell, ADSL stands for Asymmetric Digital Subscriber Line which is typically used to connect to the internet. After ADSL came VDSL, Very-high-bitrate Digital Subscriber line which is of course much better and more advanced than ADSL. D-Link will soon release their very first official VDSL2 router, guaranteed to give the ultimate performance a VDSL router can give with possibility to reach up to 300 Mbps. For a basic overview, the DSL-G225 has 4 fast Ethernet LAN ports to connect your PC. Two 5dBi detachable antennas give more signal power to reach more areas in your home. The router also has a USB port which makes it possible to share files with storage devices or to insert a dongle while in failover mode. An extra Gigabit Ethernet WAN port makes it possible for Fiber-to-the-Home connections. 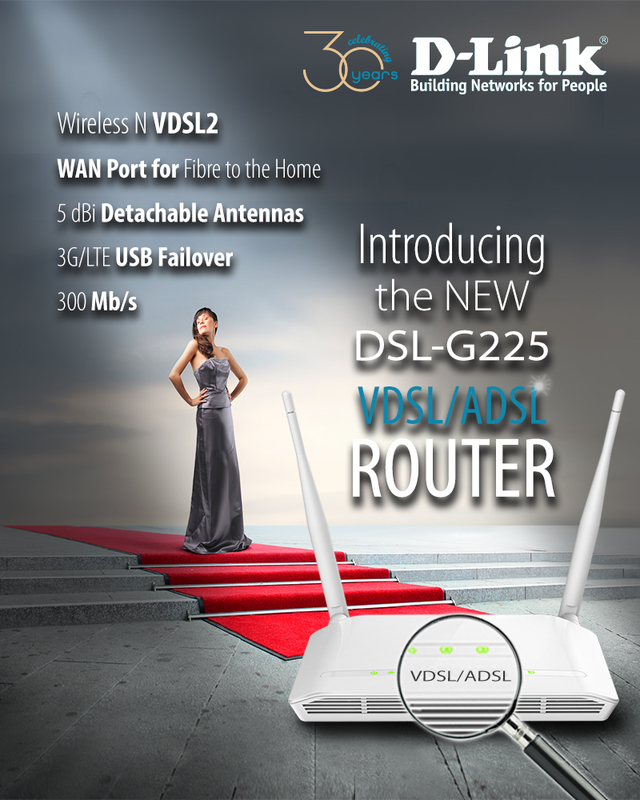 Whether it is for a small office or home, used as a switch or Wi-Fi router, the DSL-G225 will have all you need to stay connected.